Klim is undoubtedly one of the best adventure apparel manufactures in the world. They set the bar high year after year in the snow, street, and dirt riding markets. They aim to optimize the adventure without compromise, using gear they design as the vehicle that delivers their passion to consumers. Klim wants to be the best in every way possible, which is why they use the highest grade materials this world has to offer. Call it an addiction to over engineering. There is not a stitch on any of their gear that doesn’t serve a purpose. They understand many riders depend on their gear for survival, pushing their bodies and bikes to the most remote and dangerous areas this earth as to offer. There gear must perform flawlessly with the rider, their bike, the surrounding environment, and Mother Nature. 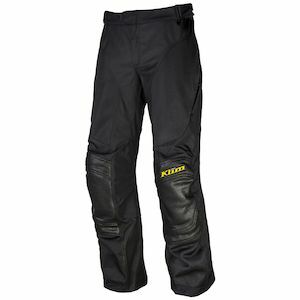 If you purchase a garment from Klim, it’s guaranteed to be cutting edge. There are no points for second place. Klim believes gearing up for a riding adventure is a calculated process that starts with gear that come in direct contact with riders’ bodies, called base layers. If the first layer is broken, the whole system fails. 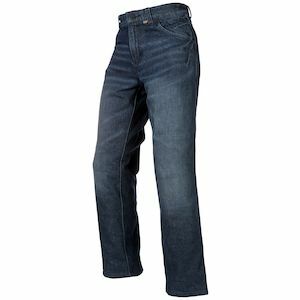 Their base layers like the Klim Aggressor shirt and pants are lightweight and form fitting, promoting flexibility and comfort. Base layers most important role in the “gearing up process” is to separate sweat from the body. If sweat builds against the body, it can be deadly. In extreme heat, sweat buildup can cause the body to overheat and fail. In extremely cold temperatures, sweat buildup can freeze against the body, causing hypothermia. Proper base layers are essential for an efficient system. After the proper base layers are selected comes the fork in the road. Does the adventure call for midlayers or just the technical shell? If temperature are falling, insulated midlayers like the Klim Inferno jacket and pants are the next step in the system. Midlayers keep the body running efficiently in cold temperatures by creating an insulated microclimate. However, in the dead of summer, midlayers aren’t needed and can remain neatly folded in the dresser. Riders can go directly to their technical shell. 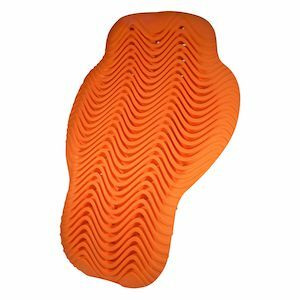 Now for Klim’s bread and butter, their technical shells. Starting with the gnarliest jacket know to man, the Klim Adventure Rally jacket is the Mona Lisa of adventure jackets. It was built for riders who eat, sleep, and breath in their gear. The Adventure Rally and Adventure Rally Air can be found on the worlds most talented riders in the world most grueling races such as the Dakar Rally. When paired with the Adventure Rally pants, an impenetrable system is born. The Klim Badlands Pro jacket is a step down from the Adventure Rally in technicality. Klim built the Badlands Pro jacket for riders that are extremely serious about riding. You can’t go to an ADVrider rally and not see the Badlands Pro on at least a handful of riders. The Klim Badlands has been setting the bar for years and many competitors are still trying to catch up. 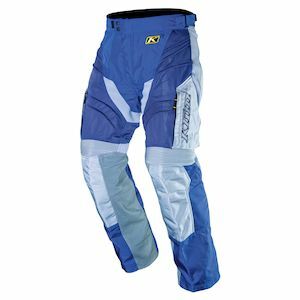 Klim designed the Badlands pants to give riders complete protection and complement the technical features offers in the jacket. 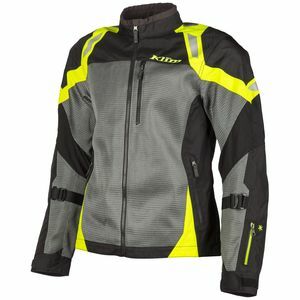 Next in line are two jackets that were designed on the same foundation, but have one main difference; the Klim Latitude 840 and Klim Latitude Misano. For riders looking for maximum abrasion resistance, the Klim Latitude 840 jacket consists of an exterior shell made entirely of 840D Cordura. 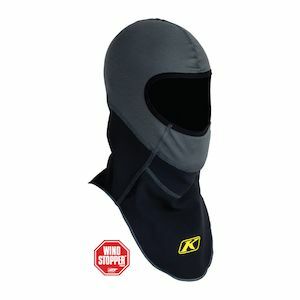 This does add some weight and stiffness to the jacket but, adds a higher degree of protection. The Klim Latitude Misano jacket uses Misano Cordura in the main body of the jacket and 840D Cordura in the impact areas. Misano Cordora is not as stiff, which makes it more enjoyable to wear over extended periods of time, but sacrifices some abrasion resistance. Matching pants are available to complete each set. The next two jackets also share the same DNA. The Overland jacket and Traverse jacket are entry level adventure jackets in Klim’s lineup. The Traverse jacket was the first to hit the market. Klim’s intent for the Traverse was to offer a dual purpose jacket that featured the essentials, Gore-Tex waterproofing and abrasion resistant Cordura at a sub $300 price point. Its price point allowed riders on a budget to enter the world of Klim and experience their level of craftsmanship. To keep the price down, the Traverse doesn’t come with armor, which enables off-road riders to easily fit their chest protectors and elbow guards underneath. It also allows adventure riders to customize their jacket with whatever armor they choose. The Klim Traverse was released before D3O armor was mainstream and offered a ton of options. With the Traverse jacket doing so well, Klim decided it was time for an update. Instead of discontinuing the Traverse for a new version, they released a completely new jacket, called the Overland, that includes the most popular Traverse upgrades / customizations. The Overland, like the Traverse, uses Gore-Tex waterproofing and Cordura fabric. They key upgrade was in the armor. 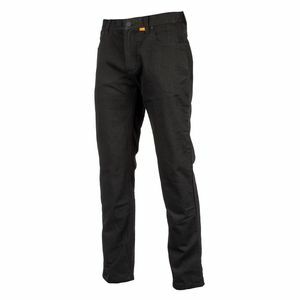 The Klim Overland comes with the latest CE rated D3O armor in the elbows, shoulders, and back. In addition, the Overland jacket is less expensive than buying a Traverse and D3O armor separately. 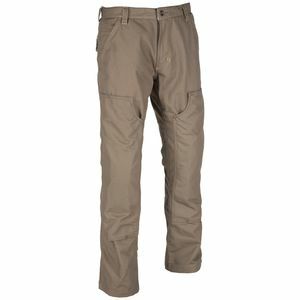 Traverse pants and Klim Overland pants are also available for riders looking for a full jacket / pant system. 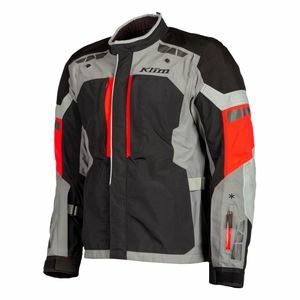 Klim recently released their Induction jacket, new for 2014. The Klim Induction jacket is one of the most protective mesh jackets available to motorcyclists due to Klim’s Karbonite Mesh Technology. It goes back to Klim’s philosophy, without compromise. They created the material needed to build a jacket with exceptional ventilation properties without compromising the jacket’s protective properties with a polyester mesh chassis. Well done, Klim!